It doesn’t matter which side of the fence your opinion falls on this topic, there is no denying that the legal commercial cannabis industry is about to explode across the country, with Alberta leading the way. Nearly one hundred applications for retail cannabis stores in the province have been filed as of the end of March (2018), with 8 percent of them (at press) intended for Red Deer alone. Commercial interest is at a fever pitch in the province more so than anywhere else in Canada because unlike BC, Ontario, and Quebec, Alberta is taking a fully privatized approach to cannabis retail. This presents a gigantic expansion opportunity for any enterprise that gets in early, with the capital to invest over the longterm. The Globe & Mail reports that a major commercial real estate firm in Edmonton is receiving a dozen calls per week from business people interested in leasing up to 3,000 square feet of retail space to set up shop in street-front locations and suburban malls alike. This demand will inevitably call for new commercial starts as existing brick and mortar space becomes scarce within our cities and towns. The province has yet to see anything like this in the retail sector. This week, the province announced the Tourism Growth Innovation Fund (TGIF) in the 2018 Budget. The fund intends to provide an additional $1 million to further expand tourism offerings for the 30 million (and growing) number of people who visit Alberta each year. Worth noting, is that the fund will give priority to projects that help grow tourism in communities beyond Calgary, Edmonton and the mountain parks, with Central Alberta becoming a logical beneficiary. This new financial injection adds to the 2018 Budget, which provides over $56 million to position the province as a premier destination for domestic and international travelers alike. Commercial businesses catering to the category (accommodations, etc.) would be wise to expand physical operations in Central Alberta in a timely manner. There is a definitely evidence that shows retailers who offer a proverbial (and literal) mixed bag of products are laying a foundation in Alberta. Mega-retailer SIMONS, which sells everything from t-shirts to shower curtains, recently opened its third location in Alberta to rave reviews. In addition, Miniso, a major Japanese retailer that provides an alternative to the familiar “dollar store” concept (but at $2.99), has started popping up all over Alberta. The retailer has plans to open 500 stores in Canada, and our neck of the province will see more than its fair share. Given that the brand has a unique and modern image to maintain, existing builds won’t cut it, so expect to see new commercial ground breaking near you. These sorts of retailers are seeing the writing on the wall. Given that the new economy in Alberta is diverse and thus more sustainable, they too are hedging their bets by selling a diverse number of products to cater to a wider audience. It’s the general store concept, but all grown up and ready to accommodate the renewed consumer spending trend to come. 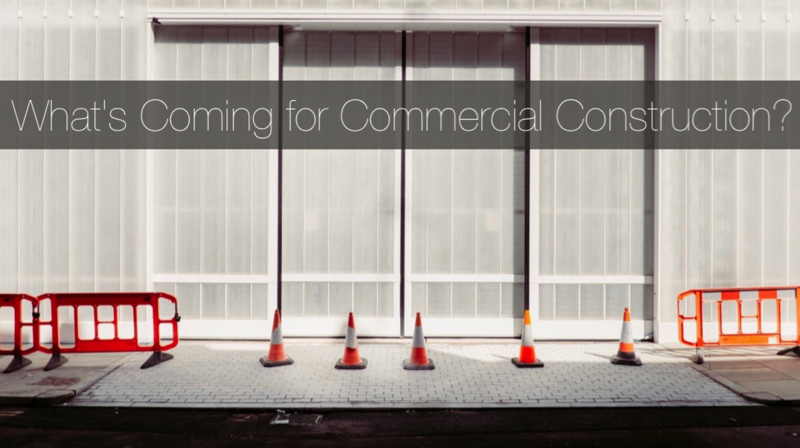 If you’re considering an exciting new commercial build (or renovation) in Central Alberta, start your project off the right way, by contacting Apple Building Systems.